Mouse Bounce is chock full of 3rd party plugins with the aim of incentivising replay, sharing scores amongst friends and monetising the game. For any mobile game it’s expected to use at least some of the following. Android uses Google Play Game Services to store scores and give users achievements. Both will need to be set up in the developer console, sit back and let this plugin take care of the rest. For iOS GameCentre is already built into Unity. Lucky you. Myself and a friend recently developed and released Mouse Bounce, an addictive, arcade platformer for iOS, Android and of course PSM. I initially took to developing the game for iOS and Android using Unity. It was my first time working with the engine on one of my own projects but using it made the whole process much easier. From concept to a final build took around two months with very little compromise from how myself and the artist originally imagined. 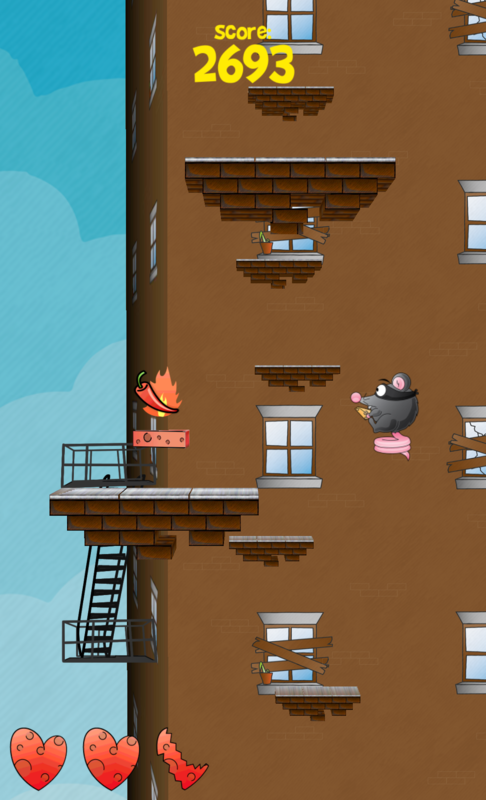 Mouse Bounce is out right now on Android and iOS. It’s sitting in both stores looking pretty waiting for you to go and download it. The most interesting and difficult part of Mouse Bounce to develop has been infinite, randomly generated levels. The main goal of level generation is to make something that is different every play through, fun and more difficult as the player progresses. Easy, right? So, starting at the beginning, Platforms! 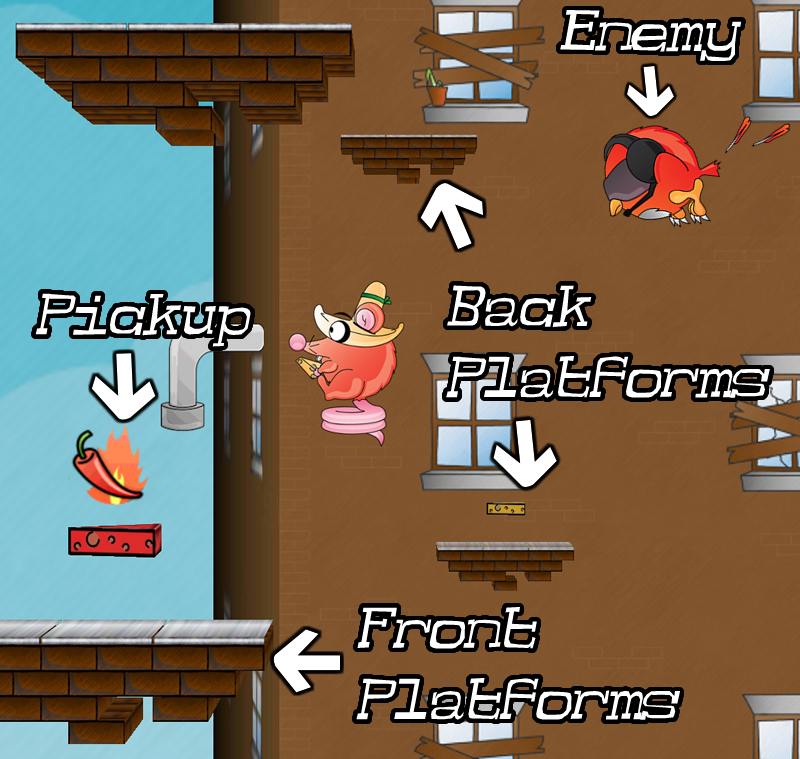 Hopefully, as you’ve noticed, there are two levels of platforms, one at the front that the player can jump on and one at the back that he can’t. They are switched around with a double tap to make finding a path more fun and challenging. Wearing the same clothes for years may work for cartoons but not this mouse. As probably the worlds only mouse fashionista there is a huge wardrobe of costumes to choose from. Take for instance the samurai outfit with cheese knife thrown in for good measure. 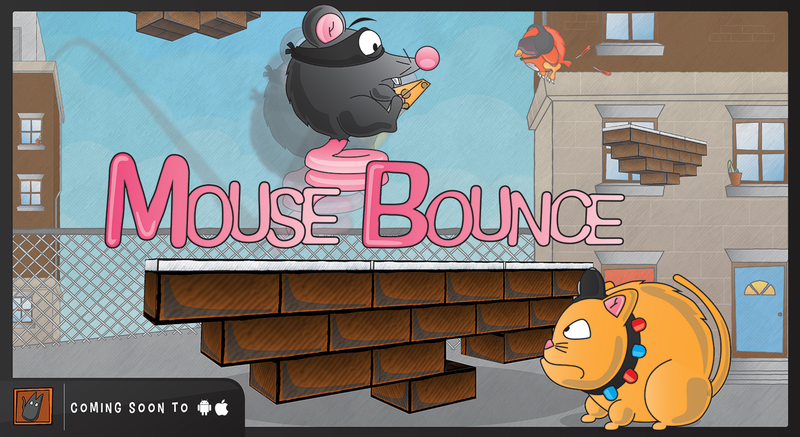 Mouse Bounce is a fun 2.5D mobile game coming to iOS and Android. 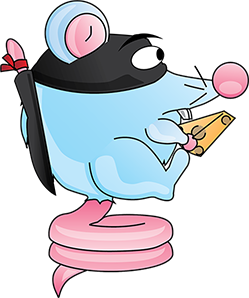 You take control of a cheddar thieving rodent manoeuvring him up a dangerous never ending level filled with tasty cheese to steal and pesky cat cops to stop you.